Calling all cheeselovers! 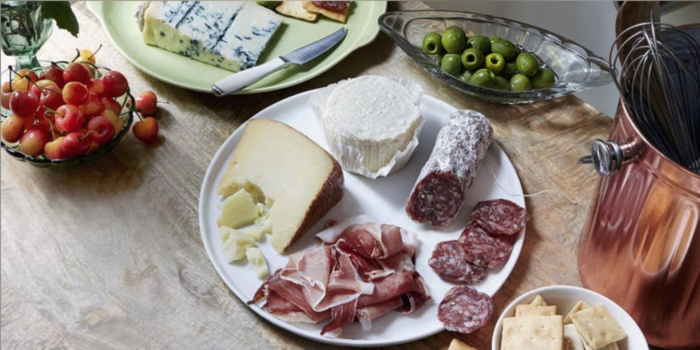 Whether you’re an Epoisses expert or a Roquefort rookie, French Cheese 101 is the place to be. We’ll walk you through a tasting of seven families of cheese from those that do it best, the French! From fresh to bloomy to blue and everything in between, PLUS a little language and culture lesson from Victoire Lester of Coucou French Classesl! We will make sure you leave armed and ready for your next trip to Paris with the tools to order the perfect cheese board and impress the locals! We will also be enjoying endless pours of two special French varietals, brought in just for this occasion! Find the info and sign up on Murray’s Cheese website here.